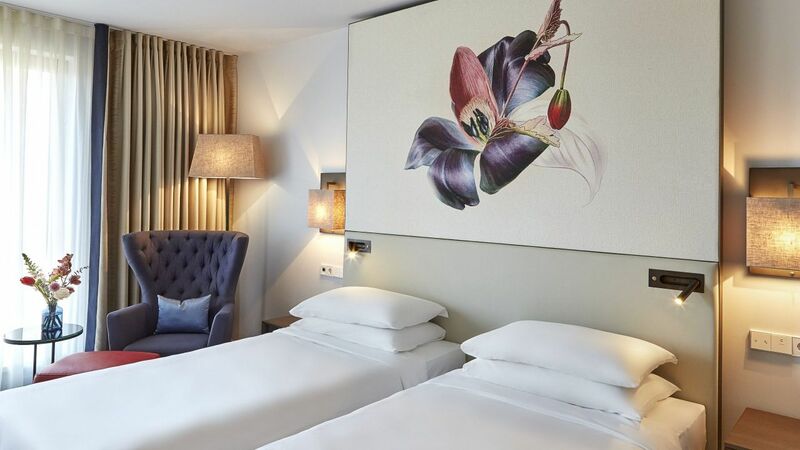 Hyatt Regency Amsterdam offers bright and spacious guestrooms with all the comforts of a modern, urban getaway. 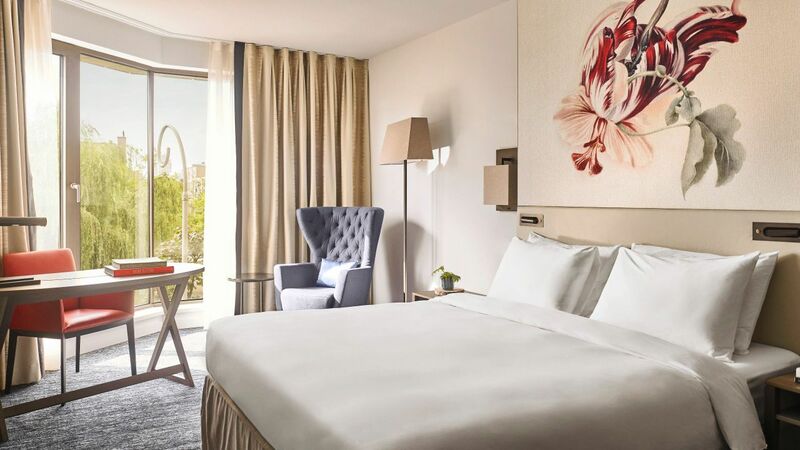 Inspired by its location in the Plantage (Plantation) neighborhood, marked by leafy boulevards and just minutes from the nearby Botanical gardens, our relaxing guestrooms offer a refreshing ambiance, elegantly decorated with blooming botanical artwork. 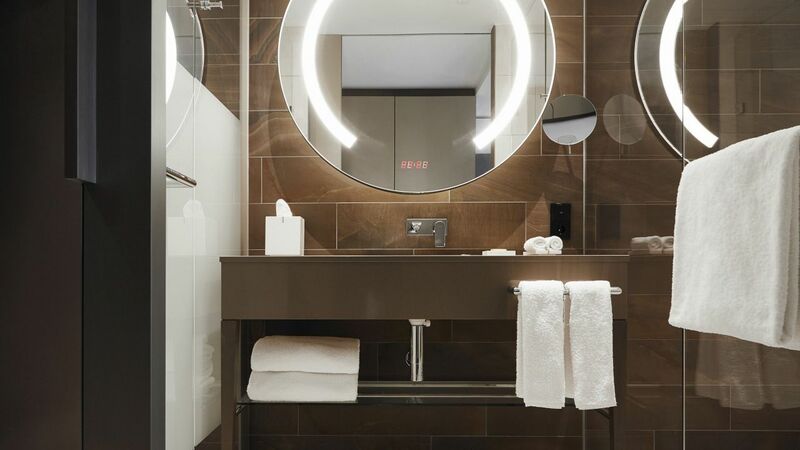 Flexible furnishings, a generous workspace and a well-appointed bathroom with soothing walk-in rain shower, complete your stay experience. 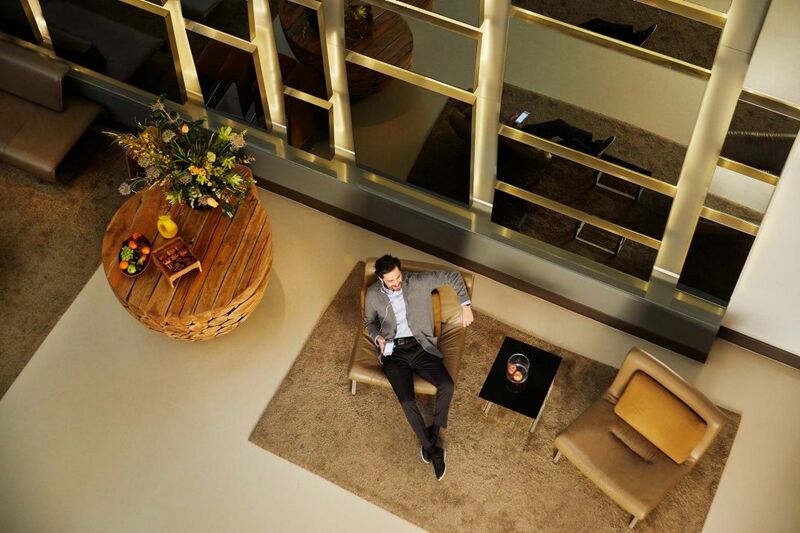 Whether you’re visiting Amsterdam for business or for leisure; solo or with family, we'll make sure you make the most of your time away. 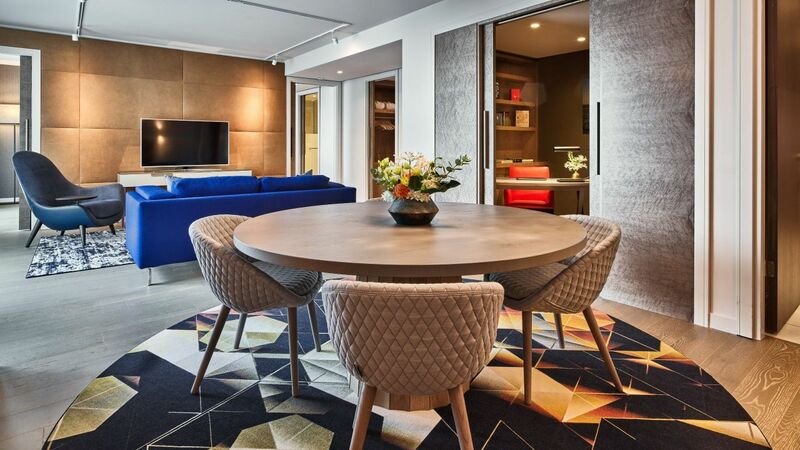 This 55-square-meter suite features a separate living space with floor-to-ceiling windows, a work area, one king bedroom, a walk-in rain shower, and a bath tub. This is a standard suite. See World of Hyatt program terms for upgrade eligibility. Indulge in this ample 60-square-meter suite with a separate living space, work area, one king bedroom, and a bathroom with walk-in rain shower and bath tub. This is a premium suite. See World of Hyatt program terms for upgrade eligibility. 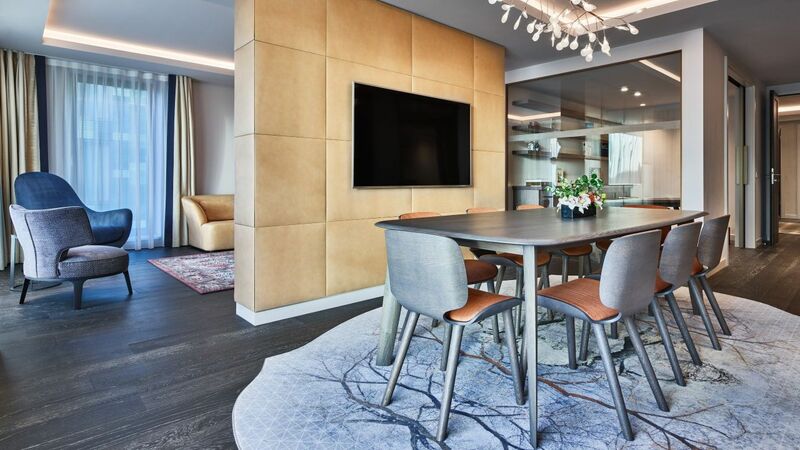 Immerse yourself in this 94-square-meter suite with one king bedroom, seperate living and dining area; study; and floor-to-ceiling windows with canal views. This is a premium suite. See World of Hyatt program terms for upgrade eligibility. Experience true luxury in this 126-square-meter suite with a generous living and dining area; a separate study and kitchenette; one king bedroom; a walk-through closet; and a bathroom with a freestanding bath tub. This is a premium suite. See World of Hyatt program terms for upgrade eligibility. Relax in this king-bedded room featuring a work area, a cozy reading chair, and a walk-in rain shower amid 23 – 30 square meters of space. 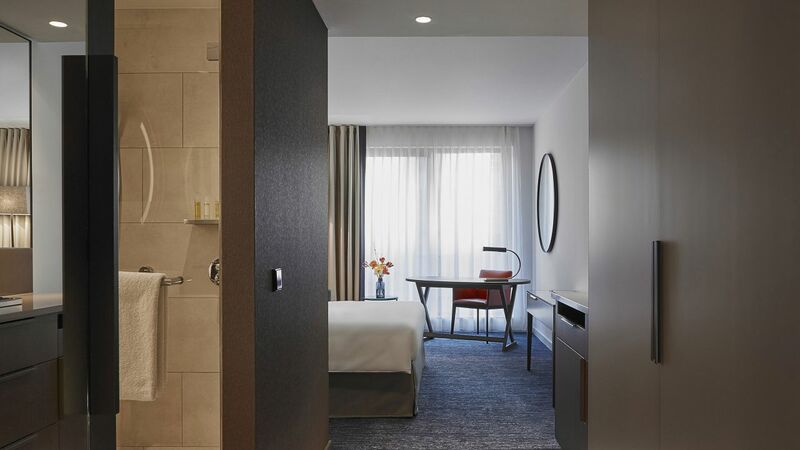 Unwind in this room including two plush twin beds, a work area, a cozy reading chair, and a walk-in rain shower. amid 26 - 30 square meters of space. 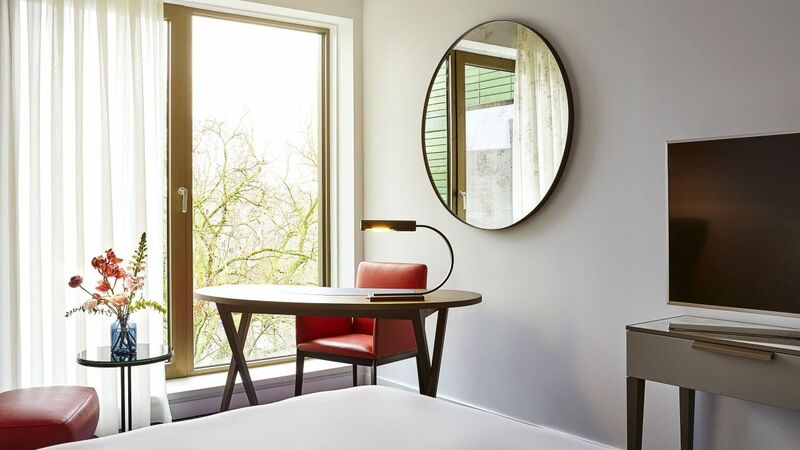 Enjoy canal or city skyline views from this 30-square-meter room with one king bed, a work area, a walk-in rain shower, and floor-to-ceiling windows. Indulge in this 30-square-meter room with city skyline or canal views, two plush twin beds, a work area, a walk-in rain shower, and floor-to-ceiling windows. 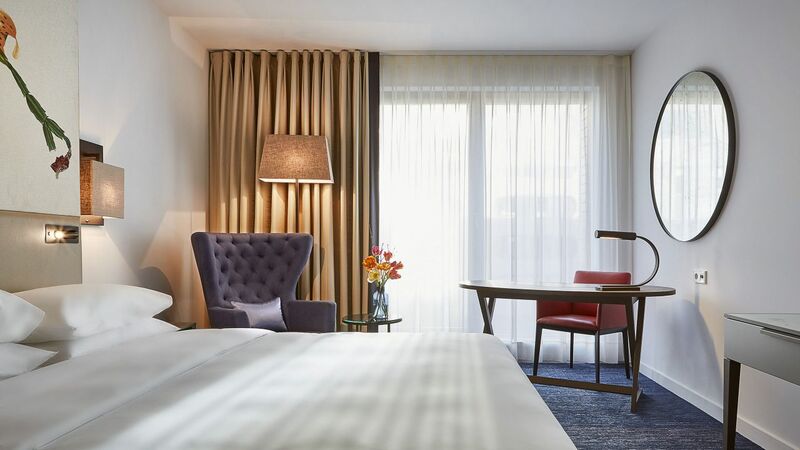 Relax in this 30-square-meter room featuring Regency Club privileges and offering one king bed, a work area, a cozy reading chair, and a walk-in rain shower. 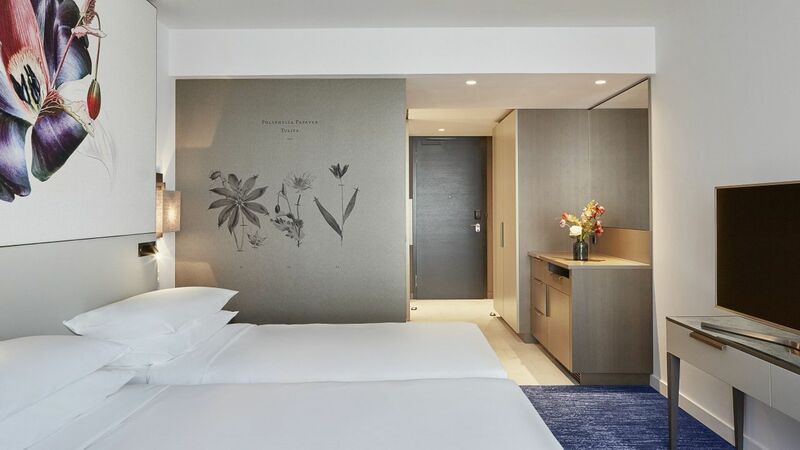 This 30-square-meter room boasts two plush twin beds, a work area, a cozy reading chair, a walk-in rain shower, and exclusive Club Lounge benefits. 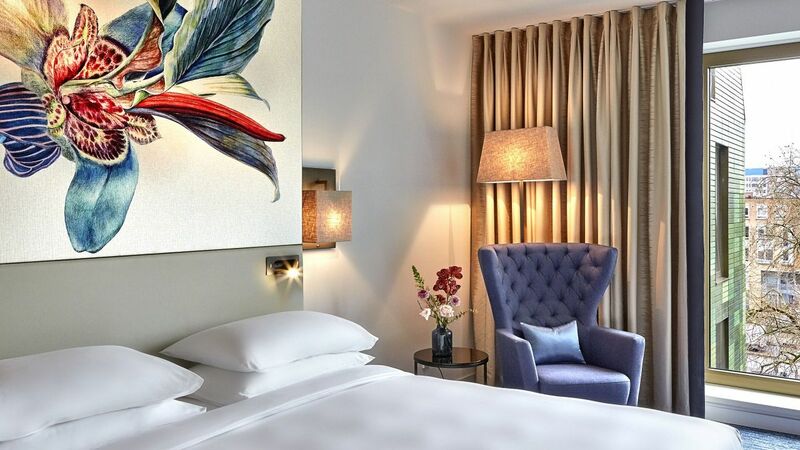 Unwind in this generous 40-square-meter corner room with floor-to-ceiling windows, including one king bed, a work area, a walk-in rain shower, and a bath tub.